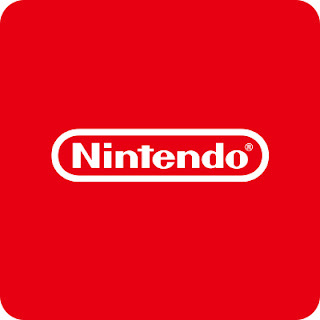 No matter what you may feel about them, Nintendo is a legendary company in the video game world. They’ve had their missteps, but the quality that comes from the Big N is not up for debate. A couple of those missteps come from the console side of things and it is there that my focus lies. Note that this ranking has absolutely nothing to do with the critical or commercial success of the consoles. This is my Nintendo Console Ranking. -Well, starting at the bottom, dead last is the Wii U, AKA Switch Beta. This console was doomed from the start, mainly because of Nintendo’s terribly confusing marketing, design choices and naming. 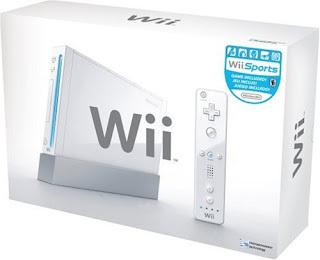 Instead of making it clear this was a separate console, Nintendo decided to keep the Wii name and come out with a console that looked like a streamlined Wii. In addition, they released it with a clunky, not well made controller/screen hybrid with terrible battery life and a ridiculously expensive price. The sad thing is that there were quality games released on the console and they didn’t get any shine because Nintendo just absolutely dropped the ball here. This is the console that almost killed Nintendo as third party support almost COMPLETELY dried up and Nintendo itself did a horrible job of supporting it. 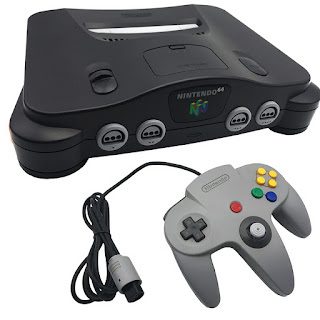 These were dark times to be a fan of the Big N.
-Yes, it is one of the most successful consoles ever, and yes it kicked off the “casual gamer” movement as well as the implementation of motion controls in mainstream gaming, but this console was just “OK” and that’s fine. It wasn’t bad, just average. Nintendo loves to try to innovate and try new things control scheme wise and for the most part, I’m here for it. But there came a point where the Wii was more gimmick than innovation. And no game represented the potential of the Wii more than Red Steel. This remains one of my favorite games on the console but it’s very clear that it’s just hard to want to play something where moving the controller actually affects the gameplay. Gamers are a fairly kinetic people, despite appearances of the opposite. We move a quite a bit especially playing fast paced action games. I don’t want to be in the middle of an intense fight and slightly twitch because I forgot the game is motion controlled and make a move that causes me to die. That’s not fun, that’s just annoying. 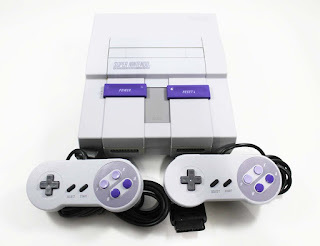 However, the surprise impact of the console cannot be understated as it was one of the most popular consoles ever. No one saw it coming. From the moment the actual system itself was revealed, there was understandable hesitance to buy in from most of the gaming world. What no one counted on was Nintendo’s genius market strategy and the casual market eating it up. These things were IMPOSSIBLE to find at launch, to the point where websites called “Wii finders” were popping up just to give people a chance to get to stores. It was amazing. 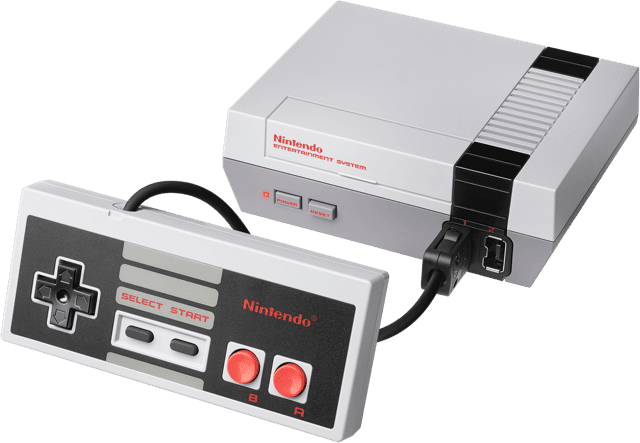 -This is the system that started the home console boom and strangely enough, still one of the more fun old school consoles to play despite (or maybe because of) its simplicity. This is where all the great franchises in Nintendo history got their start. Mario, Metroid, Zelda, the list goes on. 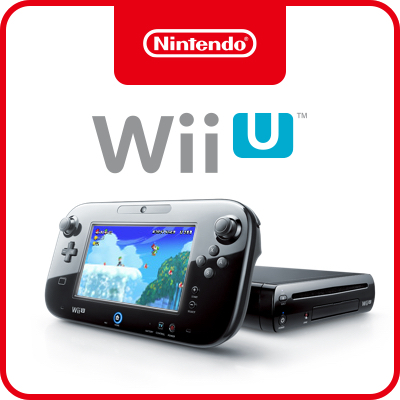 You want to see just how popular this console still is? Try to find the NES mini released over a year ago. I managed to snag one when it launched and it’s still plugged up and getting play. Sometimes you just can’t beat the classics. So why is it ranked so far back? Well not everything ages well from the standpoint of wanting to play for hours and the NES catalogue is great for short bursts of play. But make no mistake, this is a legendary console. 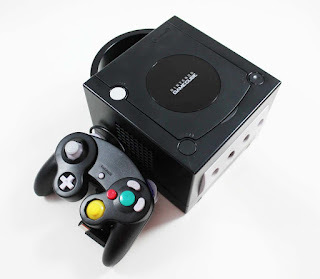 -The GameCube AKA the Dolphin is easily the most underrated and under appreciated console Nintendo ever released. I mean there were CLASSICS on this console and it seems that over time, it’s simply been boiled down to Super Smash Bros Melee. Now that’s a classic game for sure but there was so much more on it. Luigi’s Mansion, The Metroid Prime series, Mario Sunshine, Eternal Darkness, Metal Gear Solid: The Twin Snakes, Resident Evil 4 (at the time, a console exclusive), and my personal favorite game on the system, Tales of Symphonia. There was so much fire on this system that gets overlooked and it’s a shame. The only real flaw with the console was the terrible C-Stick on the controller. It was just bad all around. The over emphasis on the 8 points of direction instead of just keeping the movement smooth like other consoles was just the wrong decision and if you’re one of the few people on this Earth like me that DIDN’T mind the QB vision cone in Madden, that stick was a nightmare to control it with. But if you got that down, you could wax anyone on the other consoles. It’s about time for Nintendo to give us what we want and put some GameCube classics on the Virtual Console. -Yes. 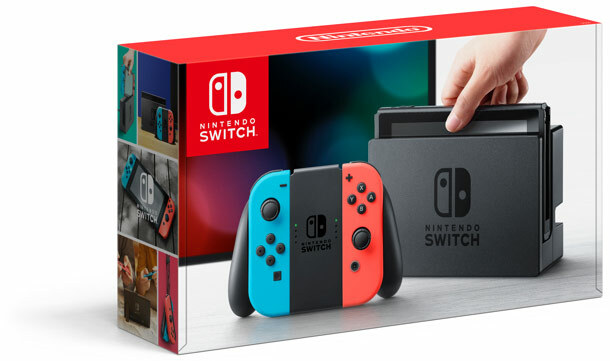 I know it just came out last year and I am fully willing to admit that this is a spot in the ranking given solely on potential but every time I look at what Nintendo did with this console, I can’t help but think of what it’s going to be. The Switch is everything that Nintendo wanted the Wii U to be and more and with way more third party support than Nintendo has seen in the last decade, the future looks bright; Not to mention we’re finally getting Metroid Prime 4. But more than anything, Nintendo was clear and smart about how they presented this system, as there has been a steady stream of quality games from ports to new games altogether. Launching with Zelda, porting Mario Kart 8, dropping Splatoon 2 shortly after and then sliding in the underrated ARMS the next month all within 4 months of launch was genius. Not only did it sell consoles, but it kept gamers busy until Nintendo threw down the big joker with Mario Odyssey in October and just for good measure, they released the excellent Xenoblade Chronicles 2 in December. And all of this was just within the first year. If that first year was ANY indication, the Switch is going to end up being one of the greatest consoles of all time. -Yeah this almost always wins out when I put everything out in front of me. The quality of games here was just staggering. I’ve covered a fair amount of them in other articles but it didn’t matter what genre of game you were into, this console had you covered. 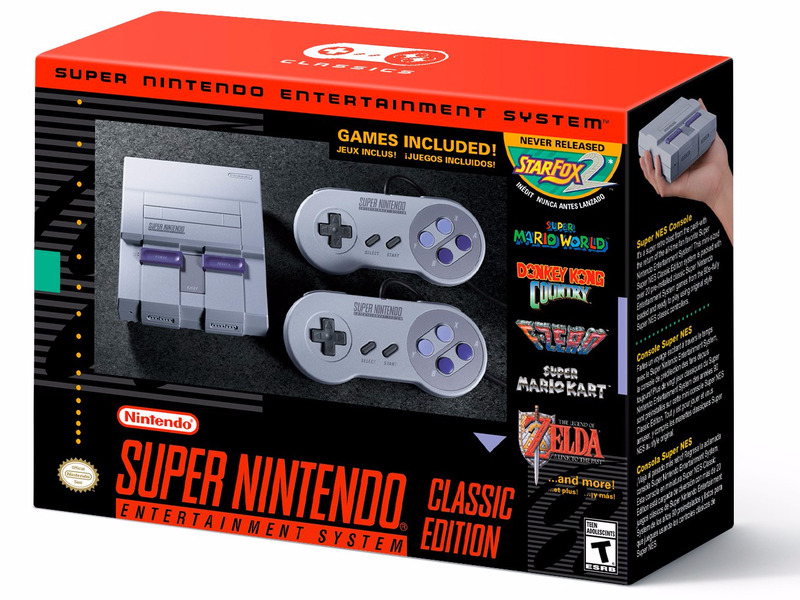 From Secret of Mana to Chrono Trigger to Super Mario World to Super Metroid, there was just so much to play, so much to do on this system that it was mind boggling. When Nintendo announced they were releasing a mini version of this console, I stayed up until 4 AM to secure mine. The wild thing about it is, you could look at the games offered on the Mini and say “man they left out ____”, but still not be mad at what you got because you’re glad THAT didn’t get left out. This is an all time Console for me and many gamers and I just don’t see much topping it period.